Traditional Kombucha is a fermented beverage made from sweetened black tea, popular for daily detoxification support, as an energy drink, and a digestive aid. 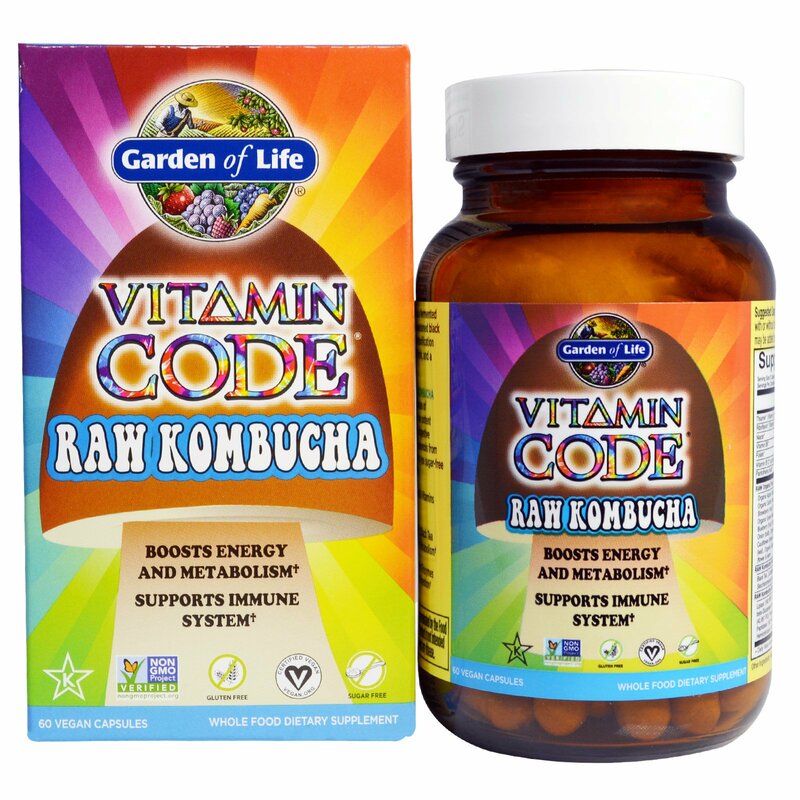 Vitamin Code Raw Kombucha includes the best attributes of Kombucha's origins - the potent B vitamins, probiotics, digestive enzymes and high polyphenols from black tea - delivered to you sugar-free in convenient capsules. Lipase (190 FIP), Protease (1,429 HUT), Aspergillopepsin (9 SAPU), beta-Glucanase (from Cellulase) (2 GBU), Cellulase (138 CU), Bromelain (42,857 PU), Phytase (4 FTU), Lactase (114 ALU), Papain (53,333 PU), Peptidase (162 HUT), Pectinase (4 endo-PGU), Xylanase (36 XU), Hemicellulase (143 HCU). 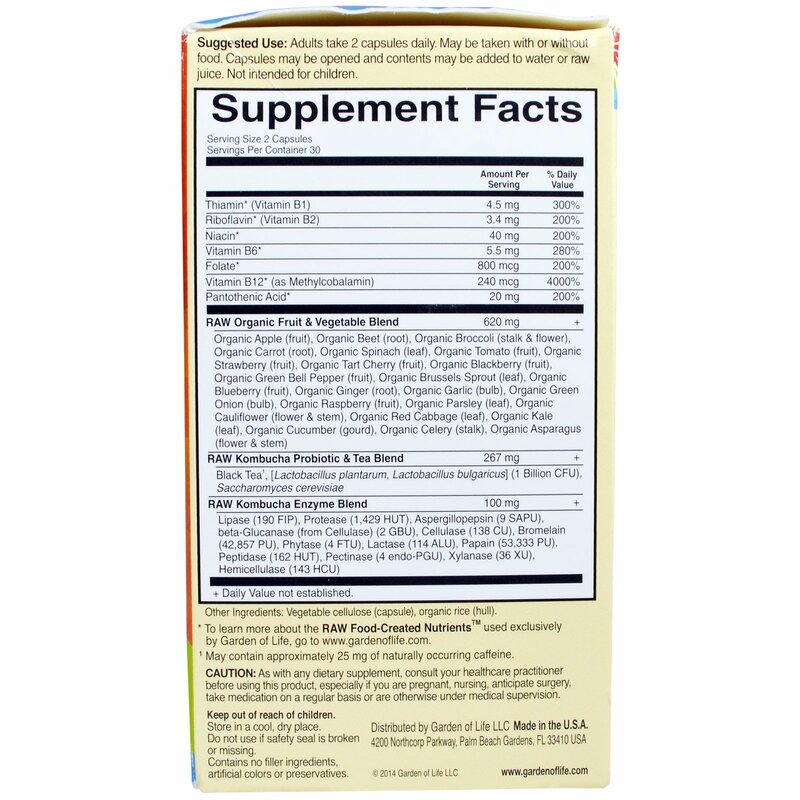 ¹ May contain approximately 25 mg of naturally occurring caffeine.